Between The Lines has featured many interesting authors over the years, but none of them ever drove an ice cream truck or sold vacuum cleaners door-to-door. Those early jobs didn’t pan out—our featured author ate his profit margin and never sold a single vacuum. William Bernhardt was born in Oklahoma City and raised in a small suburb not far away. The heartland of America is rich with tradition and heritage and has produced some of our nation’s greatest artists and authors. Bill Bernhardt is no exception. His 29 titles have been translated into two dozen languages worldwide and his sales have topped 10 million books. To give you a visual; if you laid 10 million books end-to-end, the line would stretch approximately 1,320 miles. It just so happens that’s the same distance from Bill’s birth place to the heart of the publishing industry, New York City. So the next time he flies from Oklahoma City to the Big Apple, he can visualize a continuous line of William Bernhardt books paving the way. And the line grows longer every day. After high school, Bill earned a law degree at the University of Oklahoma College of Law. He took nearly twenty years off before returning to school at the University of Tulsa for a Masters in English. He worked at a prestigious law firm for nine years, but never forgot about the little guy. He donated hundreds of hours to help underprivileged kids learn about the law and our system of justice. His generosity wasn’t limited to only children, some of his pro bono time was spent on actual cases representing the indigent. 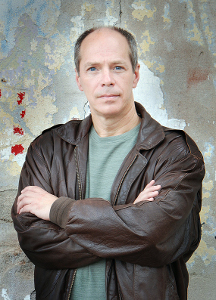 In 2009, he received the Royden B. Davis Distinguished Author Award from the University of Scranton, making him the only author to receive both the Davis and the Cobb Distinguished Author awards. He’s also been a guest on CNN, CNBC, The Today Show, Nightline, and a host of other national and regional television programs. It takes a gritty personality to keep persevering in the face of such wholesale denial. It’s safe to say there are millions of fans all over the world who’re happy he didn’t give up. Between The Lines appreciates Bill taking some time away from his busy schedule to do this interview. Can you tell us about the moment when you learned Ballantine wanted to publish your book? Where were you, what were you doing, etc? I was working in the law office at a big firm in Tulsa. And after I heard, I went right back to working, but I had a big smile on my face. You help a lot of aspiring authors. Why is that so important to you? Was there someone—an established author—who helped you on your journey to publication? No, and that’s the reason helping aspiring authors is important to me. I never even met a published author until after I was one. I wish there had been writing conferences and workshops in my part of the world when I was growing up. I might’ve had to listen to slightly less grief about how I was “kidding myself” with “delusions of grandeur” because I wanted to be a writer. I’m trying to change things for the next generation. I started my regional press in 1999 and HAWK has since published more than 100 books, a third of them by first-time authors, including the first novel from the now mega-famous P.C. Cast. I started teaching the writing programs in 2005. That’s great fun for me, to get out from behind the laptop and interact with other humans who share the same passion for language and stories that I do. Several of my small-group seminar students are now published writers, including #1 NYT Aprilynne Pike, Sarah Rees Brennan and Sheldon Russell. Do you remember the first time you saw someone reading one of your books? Did you approach him/her? How did it go? Yes, she was in a restaurant and I asked her how she liked it. She said it was okay. Thank goodness for the author photos. I think she thought I was trying to pick her up. How do you handle emails from fans? I answer all my email myself. Period. I think any writer who doesn’t is cheating themselves out of one of the main pleasures of the job. Have any of your books been optioned for film? Have you ever written for screen or TV? The Ben Kincaid books have been optioned so many times it’s ridiculous, but still no series. I wrote several scripts for proposed series that didn’t happen. More recently, my book Nemesis: The Final Case of Eliot Ness, based on a true story, was optioned. I think it would be a fabulous film and I hear Matt Damon wants to play Ness. I have written several screenplays, all unproduced. Do you feel you have a good balance between your career and your personal life? I think I’m extraordinarily blessed to have this career that allows me to not only do what I always wanted to do, but to have control of my own schedule and to spend time with my three children when I want. I was still at the law firm when my first child was born and was constantly frustrated by my inability to spend as much time with him as I would’ve liked in those early years. That’s why I’m so astounded when I hear successful authors complaining that someone else has more money or better sales or a higher profile. We have it so much better than most. We get to work with in the arts, creating work of value, interacting with the best people, setting our own schedules. Next time you’re down on the writing life, imagine being the guy with the nametag doing the monthly inventory report at Wal-Mart. We’ve got it made. If you could only use three words to describe Ben Kincaid what would they be? The same question for yourself? 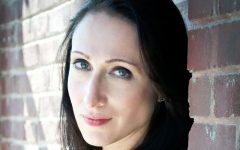 What is the most difficult part of being an author? Talking to someone who benefited from your work. I’ve had some wonderful conversations with and email from people who told me my books have influenced their lives in a positive way, or encouraged them to start reading again. Got a Facebook message last week from a California judge who told me he modeled his professional ethics on Ben Kincaid. Got an email from an elderly woman who told me reading Death Row changed her opinion on the death penalty. When you boil everything down, what truly makes Bill Bernhardt happy? A day with writing, reading, children, and love. Any day one of the above is missing, it doesn’t feel quite right. But when you have them all in place, you know life is being very good to you. It’s no secret that the best writers are also avid readers. Bill’s dedication to reading is evident in his stories. He’s a master at creating suspense and conflict. The Ben Kincaid series is top notch, especially the latest, CAPITAL BETRAYAL, which is being released in mass-market paperback this month. Kincaid is in a meeting with the president in the Oval Office when Washington suddenly explodes into chaos. Facing an imminent threat to the White House, Kincaid is whisked, along with the president and his advisors, to the underground PEOC—Presidential Emergency Operations Center—built to withstand a nuclear blast, but vulnerable to another kind of attack. Inside the bunker, defense specialists realize that a malevolent foreign dictator has hacked into the U.S. nuclear defense system and now has a finger on the trigger of America’s most dangerous weapons. The dictator’s message is clear: Heed his demands or suffer unfathomable destruction. Forced to make critical, split-second decisions, the president seems to be falling apart under the pressure. The vice president wants to strip him of his powers—a move that could have a disastrous impact on national defense. But even during this time of upheaval, in order for the president to be removed, there must be a trial. With the clock winding down, Kincaid has precious little time to defend the president. While Kincaid faces the trial of his life, legendary CIA agent Seamus McKay races through the clogged streets of Washington, searching for a hidden command center—guarded by murderous fanatics—that now controls U.S. ballistic missiles. Two sides of one unforgettable story, McKay and Kincaid home in on their targets. One uses a gun and any weapon he can get his hands on; the other employs his intuition and the law. As both move closer and closer to uncovering a world-shattering plot, the ultimate act of betrayal is launched from the heart of America’s capitol itself. Insane with grief, Professor Dennis Thomas blames Detective Christopher Sentz for the death of his wife and wants to kill him. In fact, Thomas shares his revenge plans with Ben Kincaid. Then someone fires seven bullets into the police officer. Against all advice and going on instinct, Kincaid decides to represent the troubled professor, who faces a charge of capital murder. Meanwhile, Kincaid’s personal private detective, Loving, starts prying loose pieces of a shocking secret. Working in the shadows of the law, Loving risks his life to construct an entirely new narrative about Detective Sentz, Joslyn Thomas, and madness in another guise: the kind that every citizen should fear and no one will recognize—until it is too late. Talk about a tough case? Ben’s “all in” on this one, especially after hearing what amounts to a pre-confession. Ben’s new wife, Christina, who was his law partner for many years, doesn’t want him taking the case. Not only does she feel it would be bad for his reelection campaign to the U.S. Senate, she doesn’t believe Professor Thomas is innocent. The tension and conflict grab you from page one. Although Bill is best known for his high stakes series of novels featuring a visionary and vigilant attorney, Ben Kincaid, he’s also written ten novels outside the series. As mentioned in his interview above, NEMESIS: THE FINAL CASE OF ELIOT NESS, has been optioned for film. Bill spent years researching this book. The Mad Butcher of Cleveland, aka “The Torso Murderer” was one of America’s first recognized serial killers. This true crime novel follows Eliot Ness’ efforts to catch a psychopath. What makes it especially interesting is that Ness was neck deep fighting widespread corruption leftover from prohibition. There are 18 books in the Ben Kincaid series to date. For a chronological listing of all the books, visit Bill’s website. Wikipedia also has a nice article on the author. Bill is also an excellent teacher. He offers aspiring authors opportunities to learn the difficult and demanding craft of writing in small group seminars with plenty of one-on-one interaction. In addition to the seminars, his two day annual workshop is being attended by #1 New York Times bestselling author John Lescroat along with several high profile literary agents and authors. More information on Bill’s workshops is available on his website. During the 2009 Hawaii Writers Conference, Bill took a surfing lesson at Waikiki beach. Also in the class were authors Steve Berry and his wife Liz, John Lescroat, and Kimberly Howe. I’ve been surfing all my life, so I couldn’t resist paddling out to offer encouragement to such a distinguished and “challenged” group. And yes, Bill made it to his feet on the first attempt. Surfing may look easy, but it’s not—especially the long paddle out to the breakers. 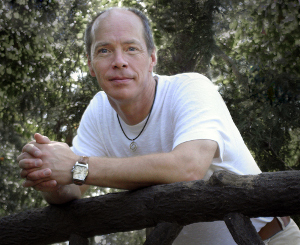 In addition to being the bestselling author of more than twenty novels, William Bernhardt founded HAWK Publishing Group in 1999 and added this annual Writing Workshop and other writing programs in 2005. HAWK, the Annual Workshop, and his small-group Seminars have graduated several authors now published at major New York houses. Bill still considers Oklahoma his home base, but he spends a lot of time in London and more recently, Hawaii.